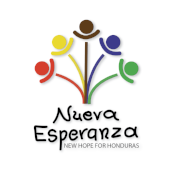 Nueva Esperanza was founded on August 3, 1992 by Barbara Maurer (Barahona). Having just graduated from college after living with a roommate whose parents were missionaries in Honduras, Barbara was given the opportunity to work with children in poverty in the country she had heard so much about. Barbara packed up all her belongings and her way of life into three boxes in July 1992 and left to work in Honduras. Living in a foreign country and knowing very little Spanish made Barbara’s first month difficult, however, she was able to persevere. Barbara then was able to open a children’s center in a church sanctuary she got permission to use. It was that August, with only 10 children involved, that Nueva Esperanza was born. Gradually as more people in the Unites States started to take interest in supporting the fledgling ministry and the work it was doing, Nueva Esperanza and its operations grew in size. Space and facilities were needed, and in March 1993, Barbara was able to rent a house near the church where she could run her ministry. This house continued to serve as Nueva Esperanza’s facilities for three years. During this time, the number of children under Barbara’s care had increased to 27. As the children grew older and entered school, Barbara recognized a need for an after-school care program and began to implement it. It was also during this time that Barbara met a man named Carlos Barahona who shared her compassion for children. At that time, Carlos was looking for a job after having just left the orphanage where he was raised. He was hired by Barbara to help in the ministry, and while working together they fell in love. Carlos and Barbara were married in 1995 and jointly pursued the calling to minster to children through Nueva Esperanza. Soon after, in February 1996, Nueva Esperanza was experiencing growing pains yet again; they needed more room for the children. Carlos discovered a piece of land near the house they were renting. It was on a hillside, and there was a dilapidated old structure on one half of the property that had been abandoned for 14 years. The land was purchased, and with work teams and designated funds, the construction of the building was reinforced and reconfigured to include a kitchen, five classrooms, a small office, and a playground. Over the next five years, another building was constructed on the remaining property providing four new classrooms, an office, and a new kitchen/cafeteria area. After this, the project to build more classrooms, an auditorium, and administrative offices on top of the original building was completed as well. Since the beginning of the ministry, Nueva Esperanza has also expanded to include a youth program, a team house, and a mother’s program. We now have an enrollment of over 130 children in our children’s program and over 30 students in our youth program. Nueva Esperanza celebrated its 25th anniversary in 2017!